The guilty plea by former Trump lawyer Michael Cohen raised new questions about the pursuit of a Trump Tower in Moscow. BUENOS AIRES, Argentina — A spokesman for Russia’s government said Saturday that only two emails and a phone call took place between President Donald Trump’s former personal lawyer Michael Cohen and Russian officials about a planned Trump Tower project. The revelations raised new questions about Trump's involvement in a possible Moscow deal that never came to fruition. 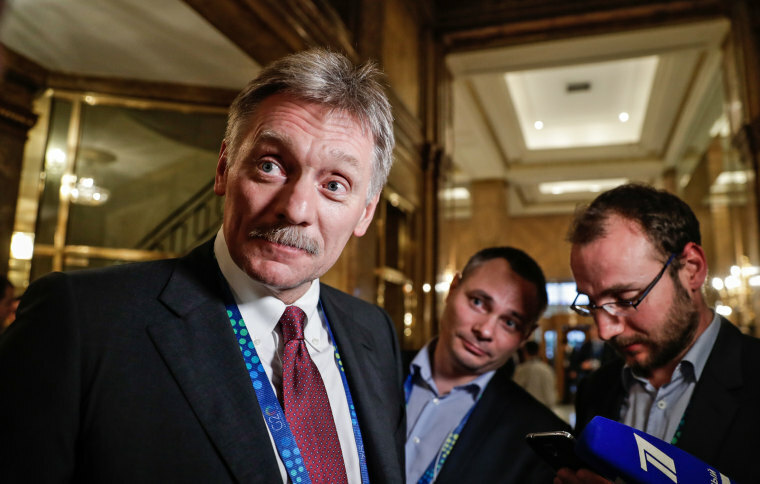 Peskov’s statements Saturday and documents filed in relation to Cohen’s plea deal seem to contradict Peskov’s prior statements on Russia’s involvement in the proposed Trump Tower deal. Cohen’s plea on Thursday marked the first time that Trump and his private business dealings in Moscow were named in open court as part of special counsel Robert Mueller's investigation into Russia's ties to the Trump campaign. Prosecutors said Cohen lied to minimize links between Trump and his Moscow building project and to give the false impression that the project had ended before the Iowa caucuses in February 2016. In reality, Cohen continued to pursue Russian approval for Trump's project as late as June 2016. Trump has claimed Cohen is lying to secure a lesser sentence and called him a "weak person." Cohen, 52, pleaded guilty in August to eight felony counts of tax evasion, bank fraud and campaign finance violations, including two counts related to hush-money payments that Cohen said were made to women at the then-candidate's direction during the 2016 campaign to keep them from discussing affairs they said they had with Trump. The president claimed that "everybody knew" about the project, which he characterized as "more or less of an option that we were looking at in Moscow." Pelosi, who could become House Speaker once the new Congress takes session, said Congress must pass legislation to protect Mueller’s investigation from any interference. Cohen will be sentenced in both his cases Dec. 12 in federal court in Manhattan. In Thursday's case, brought by Mueller, Cohen could receive up to six months jail time. In the previous case, it remains to be seen if prosecutors in New York seek to further decrease their recommended sentence of 46 to 63 months. Keir Simmons reported from Buenos Aires, Argentina; Phil Helsel from Los Angeles.